from half remembered yesterdays and unfulfilled tomorrows. I’ve been a student of Victorian British history since I first read Sherlock Holmes when I was twelve, and, while I’ve done serious scholarly work on it, including a doctoral dissertation on mid-Victorian radical journalism, one of my less serious interests is the British Gentleman’s club. 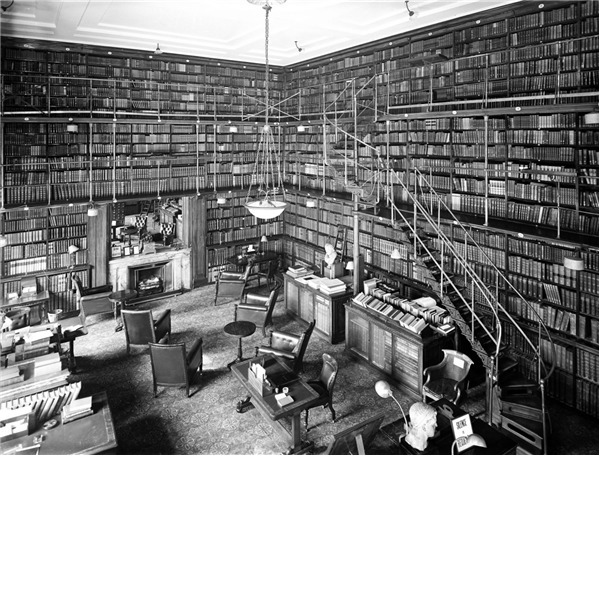 They always seemed to me to be like a cross between a library with comfortable chairs, a good tobacconist, and a less seedy faculty lounge furnished with old wood, marble, and servants. 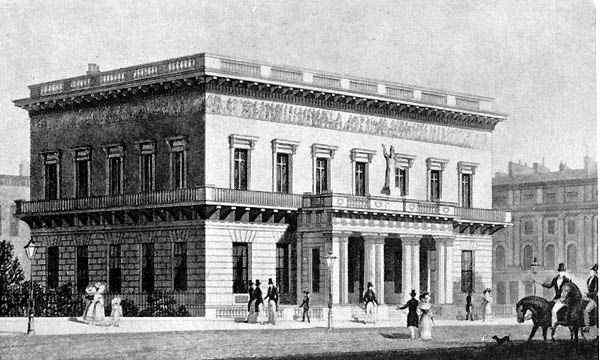 There were clubs for every interest: the Reform, the Conservative, and the Carleton Clubs for politicians, the Army and Navy Club for members of the armed forces, The Athenaeum Club for artist, writers, and scientists, the Oxford and Cambridge University Club for members of those universities, and more. They usually offered the amenities that a gentleman might seek when socializing: fine dining, reading rooms, smoking rooms, and a bar. Most of them were in the same neighborhood in London, informally called “Clubland,” which made it easy for a gentleman who belonged to several clubs to choose where to spend time according to his mood. They were such a well-known feature of elite life that P.G. Wodehouse set several scenes in them for his creation Bertie Wooster to make observations about life among the chinless idiots of the upper class, and Sir Arthur Conan Doyle created the Diogenes Club for the misanthropes of Sherlock Holmes’s world. These were elite institutions for those who could pay the hefty subscription fee and other costs associated with yearly membership. Socialization with others of similar social standing and interests was their reason for being. They existed as a refuge from the world, where men of like minds and congenial dispositions could dine, converse, read, and drink, and generally just be themselves. Andrew Robert Buxton Cavendish, the 11th Duke of Devonshire, said, “You can, to a very considerable extent, judge a man’s tastes, possibly even his character, by the club to which he belongs.” The company a man keeps, it seems, says something about his character, and in that, at least, clubs resembled Masonic lodges in their desire to admit only those men who met internal as well as external qualifications. The club buildings themselves, especially the ones built in the 19th century, were usually grand affairs, with glorious interiors. 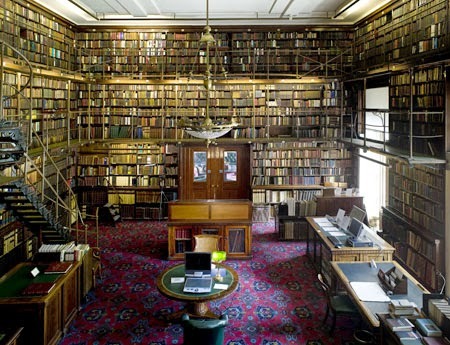 The Athenaeum Club’s South Library in particular is worth the membership fees by itself, and the thought of spending a day in the library, with dinner and cigars to follow, makes me a trifle giddy. Buildings like these are architecture done right, for the right purposes, and follow a tradition of beautifully arranged structures with which Masons ought to be fully in sympathy. Masonic Temples and the Grand Lodge buildings erected at the beginning of the 20th century are very much in that tradition. The Indianapolis Freemasons' Hall, to name just one, is a glorious example of that kind of Masonic architecture, and would look quite at home among London’s clubs. 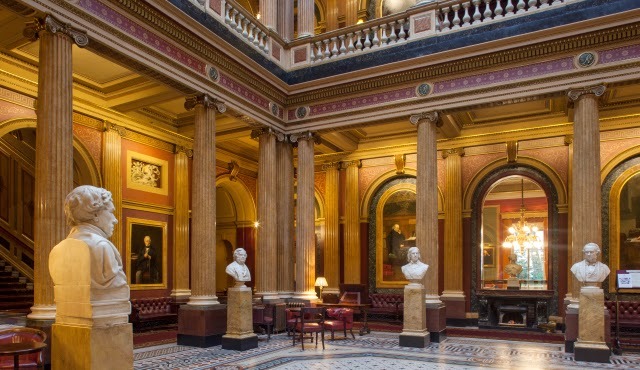 It’s also unusual in being still in use as a thriving Masonic building. 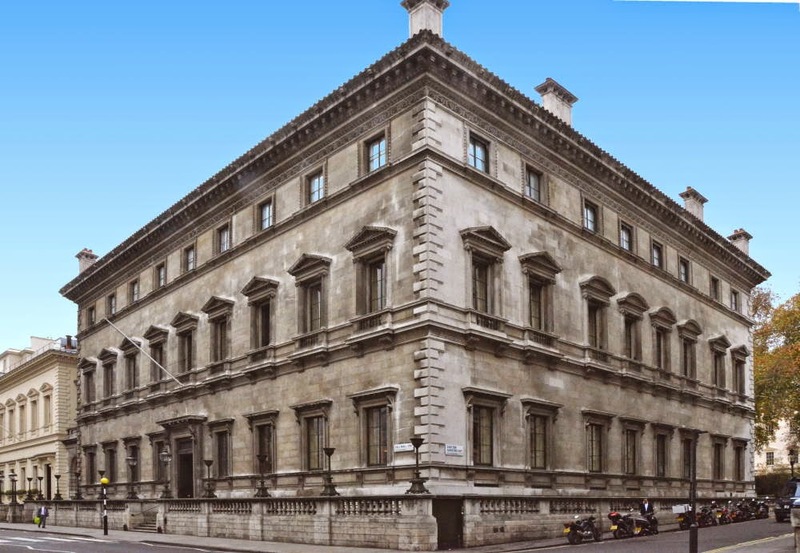 If you pay any attention to Masonic news these days, you'll soon discover that many lodges and appendant bodies are divesting themselves of the great buildings they erected in the halcyon days of the fraternity, as being too expensive to maintain. There’s much sadness at these losses, and I’m entirely in sympathy with that feeling. I look at the London Clubs and the Grand Masonic Temples with a nostalgic wistfulness, for they are no longer the norm. But it’s a mistake to view them as being the same kind of thing. A London Club’s building was essentially its reason for being, which was to provide a place of refuge and conviviality. A Masonic Lodge is a different thing entirely. A lodge is not a building, but is a certain number of Masons duly assembled, with a charter empowering them to work. Freemasonry is not found in buildings, no matter how humble or grand or beloved. 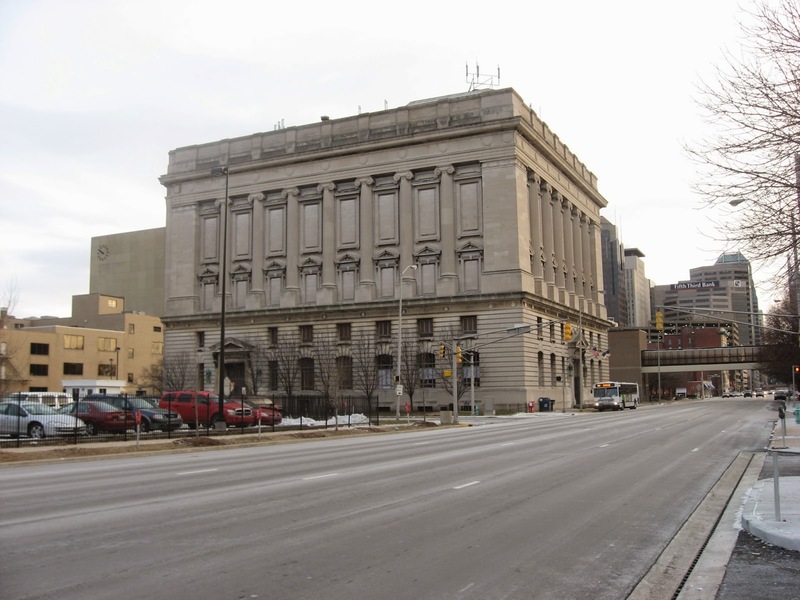 Where there is enough population to make these buildings economically viable, and a board of directors exists with enough vision to move with the times, a grand Masonic Temple can survive, and even thrive, as the Indianapolis Freemasons’ Hall demonstrates. But both of those conditions are necessary; neither is sufficient. That’s not to say that a seemingly hopeless state of affairs can’t be turned around, but Masons work based on real knowledge, rather than nostalgia, and a hard analysis of whether a building can and should be saved can’t be rejected in favor of sentimental inertia. If we can save our historic buildings, we should at least try. If a lodge or lodges occupy a beautiful physical building, that is truly wonderful, and they should be good stewards of that heritage. But we need to recognize that buildings are not essential to our Craft. Our Temples are not to be found in Clubland. They are visible in our actions, glorified in our Work, and majestic in our hearts. As a one who appreciates architectural treasures from bygone eras, I agree that to the extent possible we should try to preserve our architectural heritage. That said, Freemasonry, much like a church is not as much a venue or building as the people who comprise the organization. Some of the masonic experiences I’ve had outside a Temple over the years are every bit as rewarding and memorable as some within. Over the 146 year history of our lodge, it changed venue four times – yet the organization itself has endured and prospered. I do however find significance in the atmosphere created in such places. Stained glass in a church vs a service in a high school gymnasium has always had a different impact on me. I cannot imagine having received the Order of the Temple in a place not specifically designed for its purpose. For me, the atmosphere added to the experience. Today, we dim the Lodge room for the EA degree to heighten the initiate’s experience. Nearly to a man, they mention that impact – particularly once they’ve seen the degree in a fully lit room. So to the extent that certain ambience can be created, I think it’s worthwhile. 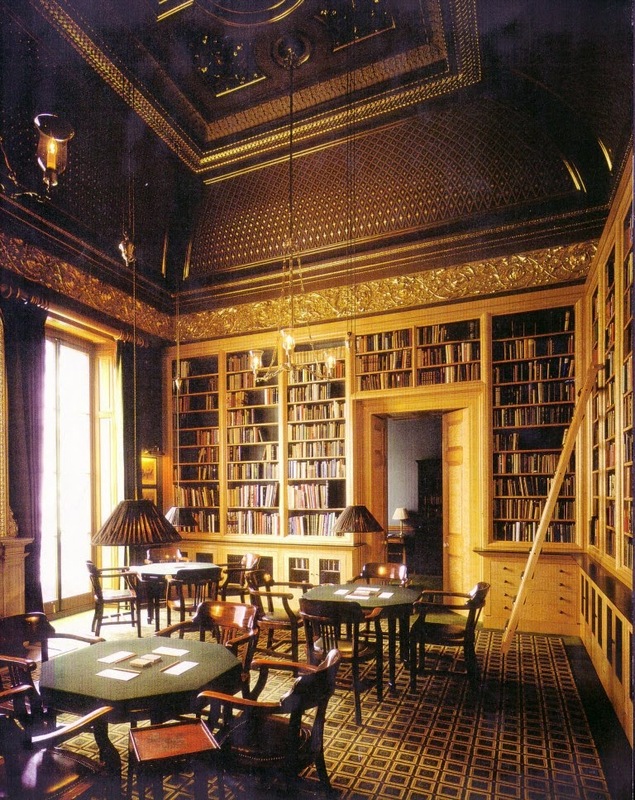 I believe Freemasonry in general held a more venerated or at least well-known place in society at large in former times and many of our large, ornate Temples built then reflect that place – much like old bank buildings, libraries and such that, now likewise antiquated, are moving their contents to more contemporary digs. Seven lodges and many appendant bodies currently meet in our Masonic Center. The hospital across the street would like to buy our land for expansion purposes. They offered a sizable sum and also to build us a new facility in a place of our choosing and to our specifications in return. The resistance to this proposal is astounding! Seems many members cannot detach the concept of the Lodge from the physical location of the lodge. Just think of the updates in function and technology and reduction in expenses we could enjoy now and in the future. Very interesting post indeed. Thank you!